Early motoring illustrator that is assumed to be some relative of Bruce Angrave. Unlikely to be the same person as Bruce was born in 1914 hence would only be 9 years when first Vulcan cars advertisement for the Motor Owner magazine seen in 1921. 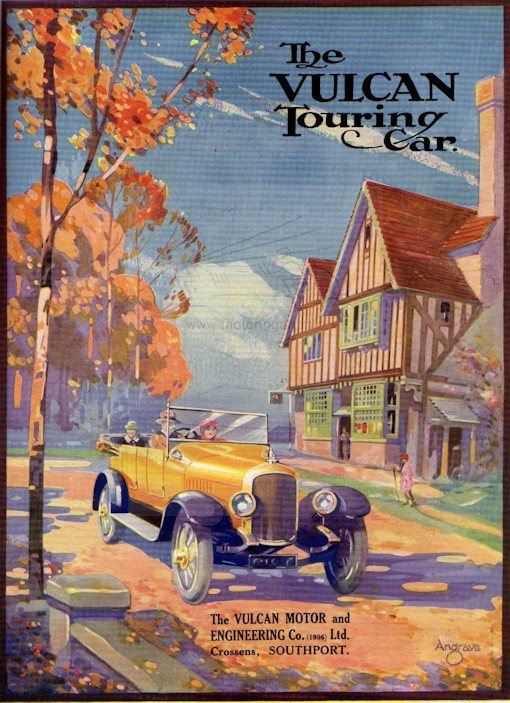 Also noted are advertisements for Sunbeam cars 12th June 1931 and Rolls-Royce 24t h June 1932 in The Autocar magazine.